My recent angling experiences are limited to salt water, mainly here in the UK and, to a lesser extent, in Western Australia. 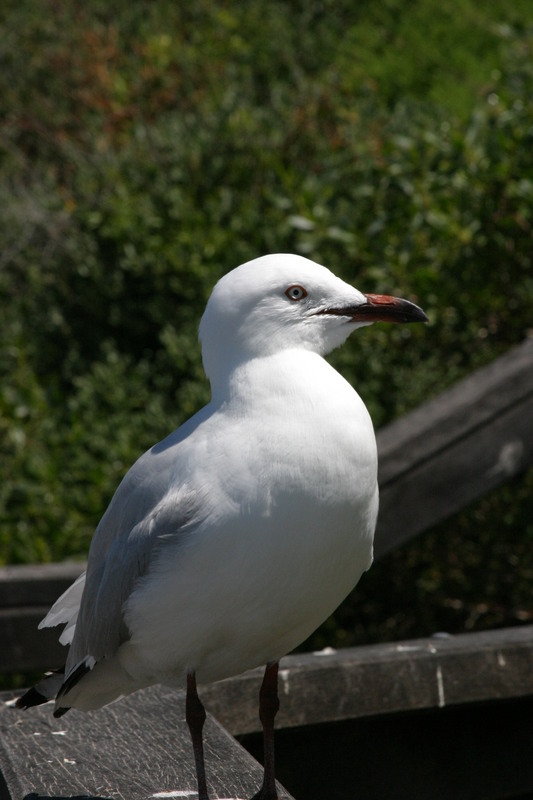 Here in the UK, especially when fishing from a boat, if a fish is caught or perhaps old bait is thrown overboard seagulls will materialise out of thin air. Where none could be seen on a mirror flat surface or in the sky, suddenly they will appear to take ownership of the fishy scraps. I have witnessed a wee, brightly coloured, bird land on a rod tip to watch as a string of feathers were dropped to the sea bed. Then, in a bright flash of colour, it has plunged into the sea to follow the feathers as they dropped to the sea floor. After a few seconds, when the bird didn’t pop back to the surface. the feathers were retrieved with the bird well and truly hooked. Thankfully it survived. 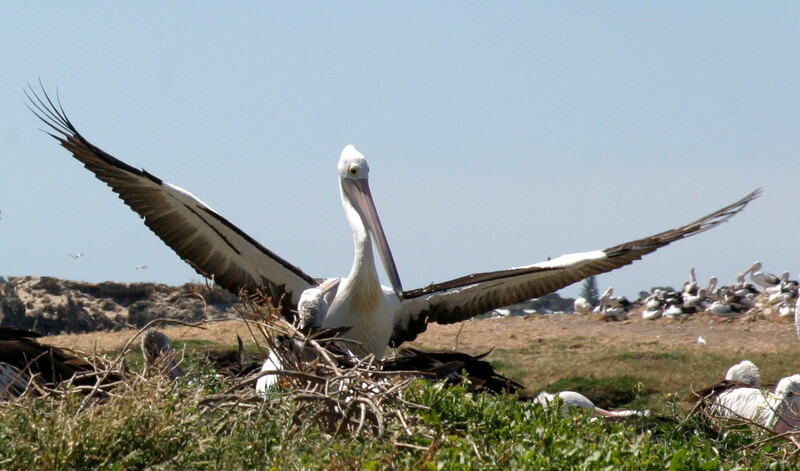 When fishing in Oz I have observed and experienced the fact that each and every shore based angler will have their own personal pelican. Usually sitting on a higher vantage point, but also just a few feet behind the angler at sand level where they are so brazen that they will sneak up behind the angler and steal bait from his hand. Close up, that beak can be quite intimidating. My own personal experience was when fishing from a breakwater, I was luck enough to catch a small silvery fish. Looked a bit like a British garfish. Anyway, as I triumphantly reeled my catch into shore, my personal pelican launched and tried to steal my catch from the water. He failed. However, when all said and done, I have never experienced this ….. Fishing buddies, or a fish thief in waiting ? This entry was posted in Local (To Me !!! 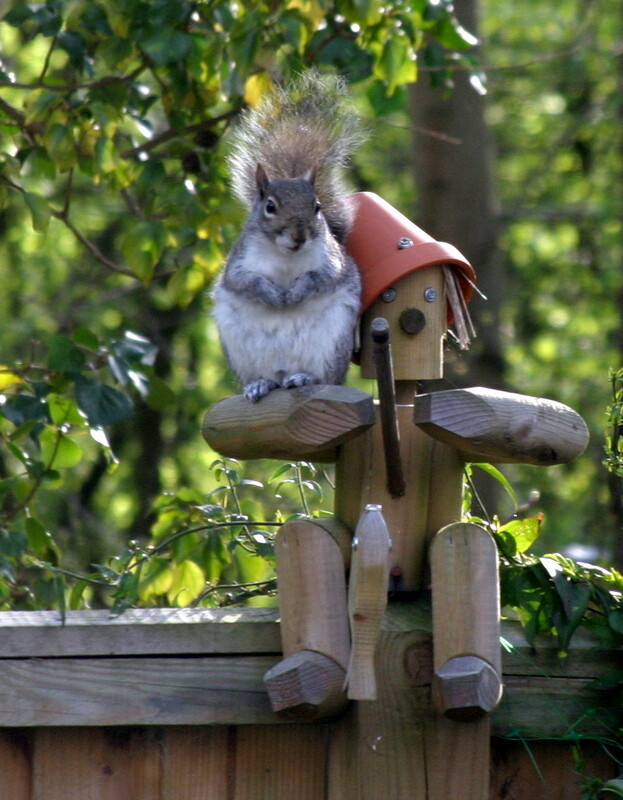 ), Photo, Photography, Wildlife and tagged fishing, Pelican, seagull, squirrel, wildlife. Bookmark the permalink.